Normally an editorial cartoon from the early 20th century would not make the threshold for a Swann auction, but we found this pair from the Saturday Globe too timely to pass up. They both deal with the immigration issue, a hot topic in the current presidential race. 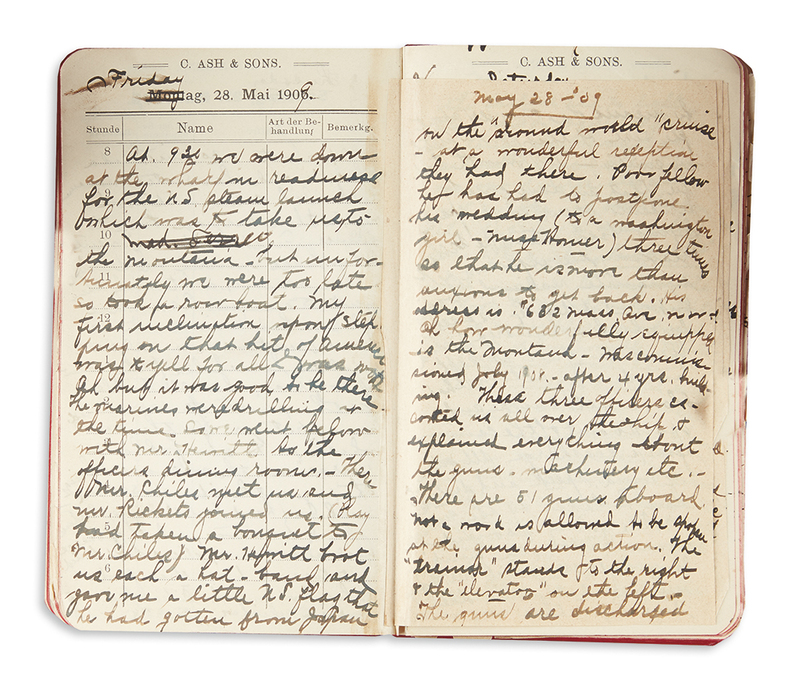 The pair are offered as lot 239 in our June 21 auction of Printed & Manuscript Americana. Lot 239: From a pair of issues of the Saturday Globe with color cartoons on the immigration issue, Utica, NY, 27 August 1904. Estimate $200 to $300. 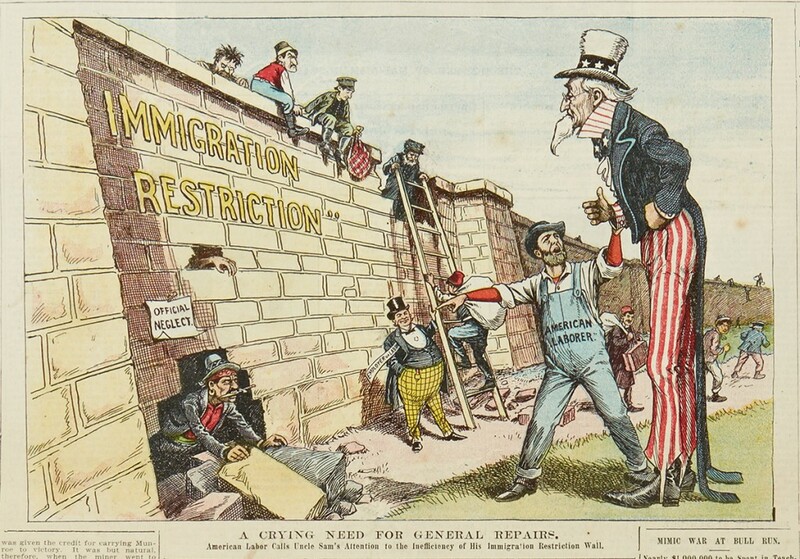 The first uncredited cartoon (seen above) is dated 1904, with a caption reading “A Crying Need for General Repairs: American Labor Calls Uncle Sam’s Attention to the Inefficiency of his Immigration Restriction Wall.” It depicts an unsavory group of immigrants pouring over (and through) a border wall, including a stereotypical Italian with a stiletto between his teeth, and a bearded man (apparently Jewish) preparing to descend the ladder. Meanwhile, an American laborer pleads to Uncle Sam for protection against the horde. Lot 239: From a pair of issues of the Saturday Globe with color cartoons on the immigration issue, Utica, NY, 18 April 1908. Estimate $200 to $300. 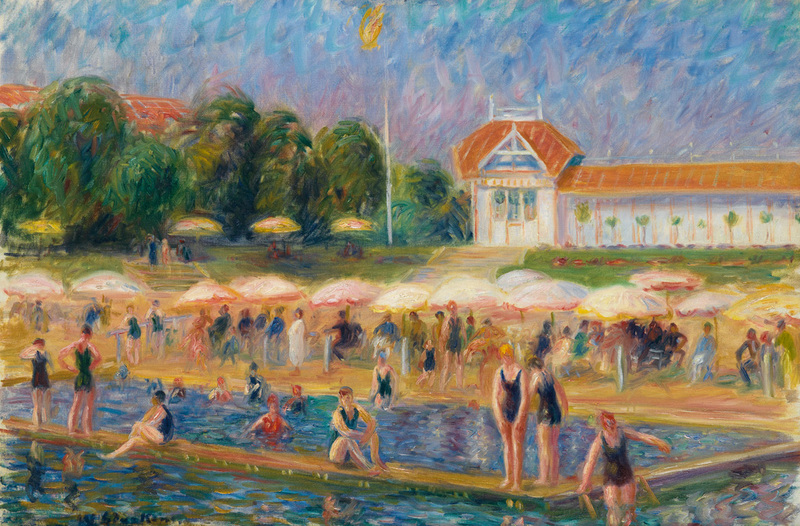 The second (seen above), by W.A. Carson, is dated 1908 and titled “Columbia aroused at last! 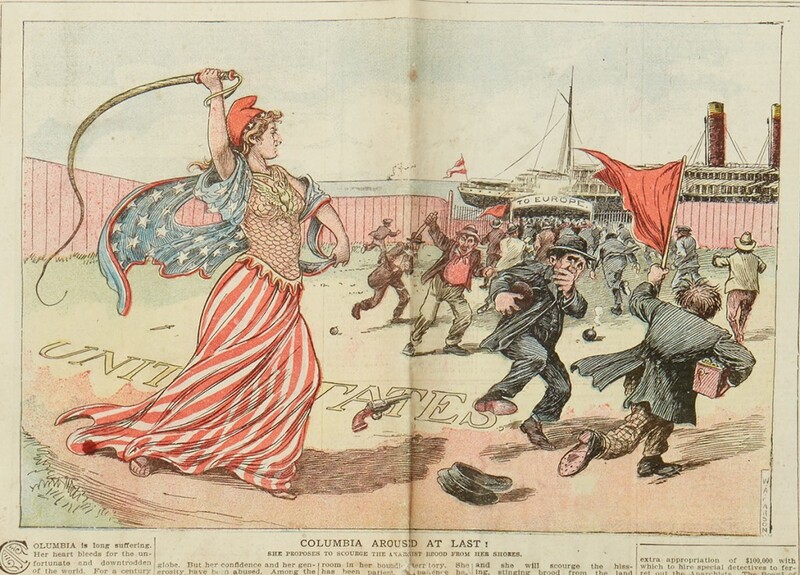 She proposes to scourge the anarchist brood from her shores.” A whip-wielding Lady Liberty chases an angry-looking group of immigrants back to Europe. They leave behind bombs and pistols as they flee, though they retain their stilettos and red flag. While the examples above are lamentably xenophobic, there are of course always instances of similar cartoons, posters and propaganda which demonstrate a much more inclusive bent. Lot 267: Rosa Brothers Grocery & Market Calendar with colorful depiction of Portuguese-American immigration, chromolithograph, 1928. Estimate $100 to $150. 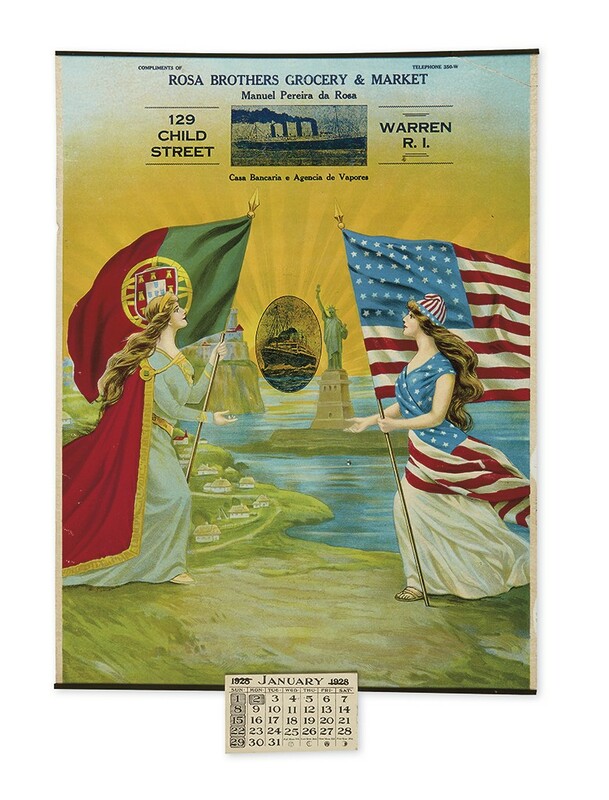 In this 1928 calendar from Rhode Island-based Rosa Brothers Grocery & Market, the symbolic female figures of Portugal and America reach out to shake hands in front of the Statue of Liberty. 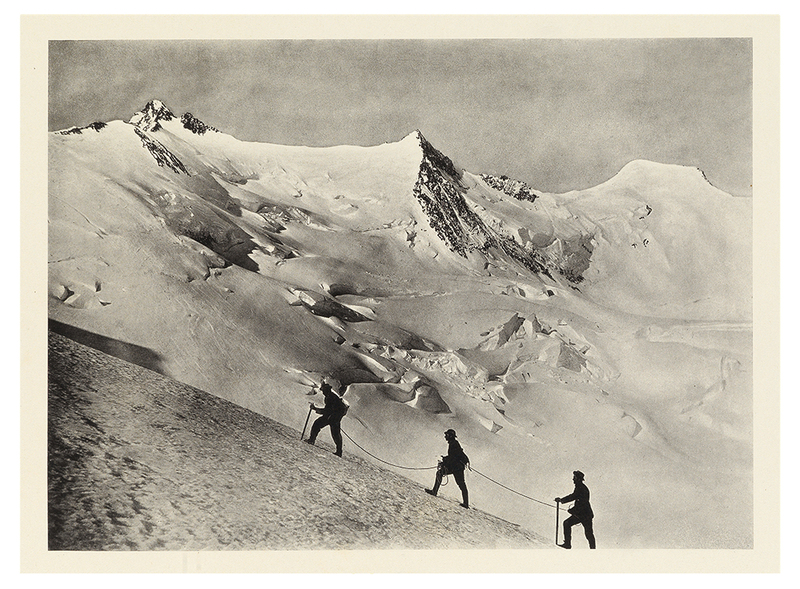 Two images of emigration steamers are stamped above the lithograph. 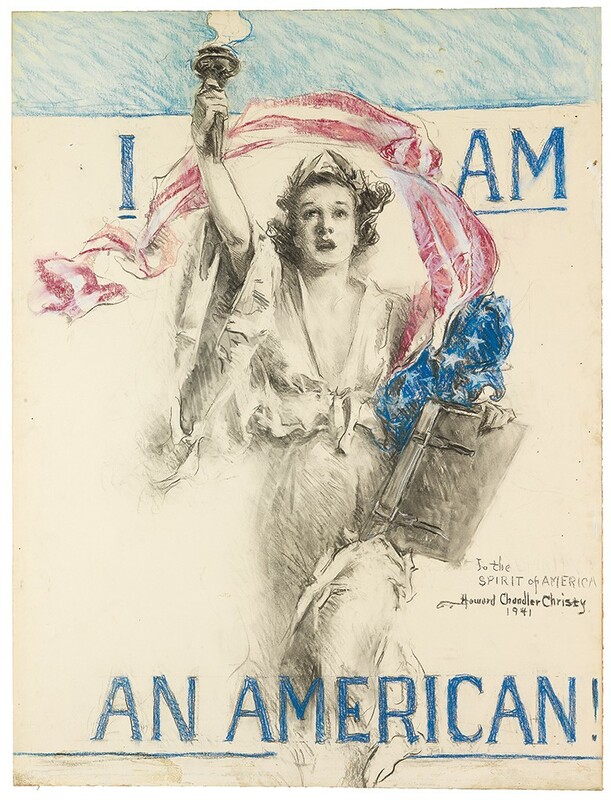 Lot 148: Howard Chandler Christy, I Am an American!, charcoal and pastel on board, 1941. Sold January 2016 for $40,000. Be sure to check out our complete catalogue for a host of other historical political materials, including presidential campaign items.